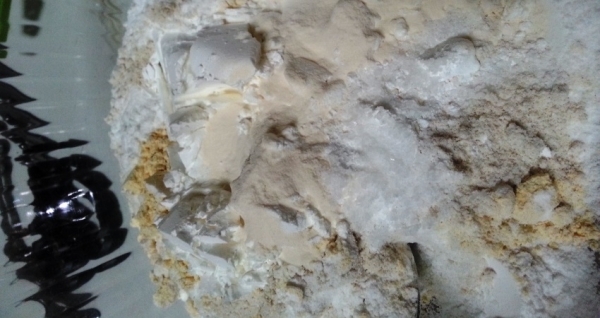 Handling powders and sticky ingredients are all part and parcel of food processing. Barry Walmsley, product manager, and Norihiko Shigetani, deputy general manager of Hosokawa Micron discuss common challenges with these and the opportunities that processors can capitalise on. Powder processing and materials handling challenges in the food processing industries are both varied and significant for today’s manufacturers who are striving to keep pace with rapidly changing eating trends and market demands. Add to this the desire to create competitive advantages through innovation and speedy production routes that keep them ahead of the rest, and it’s fair to say food manufacturers may feel they have a lot on their plate. Here we look at some key challenges in today’s market including product preservation, sticky products, opportunities to add value to high volume production, and contamination protection. Discussed are also the opportunities to address these in a way that delivers direct production benefits and competitive advantage through cost effective production techniques. 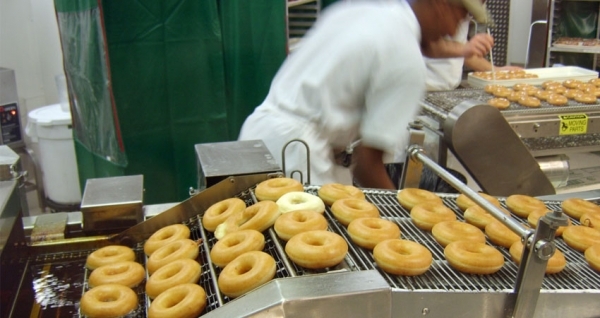 Food ingredients, particularly those high in fat are typically sticky and difficult to handle. Mixing or size reduction processes can potentially add energy and heat into the product, which increases their sticky and cohesive nature. This can potentially damage flavour, appearance and mouthfeel thus reducing product yield, sales volume and market position. Cacao is a typical ‘difficult to handle’ product, being heat-sensitive, sticky, fatty and of high value in nature. In cacao processing, prior to grinding, cacao cakes are blended to adjust the recipe, and many Southeast Asian cacao producers utilise conical mixers such as those from Hosokawa Micron. These orbiting screw mixers execute a low intensity, gentle mixing action, suiting them for mixing delicate products with accuracy. They offer minimum heat generation, fast mixing times, full and easy discharge, and volume capacity up to 100,000 litres. 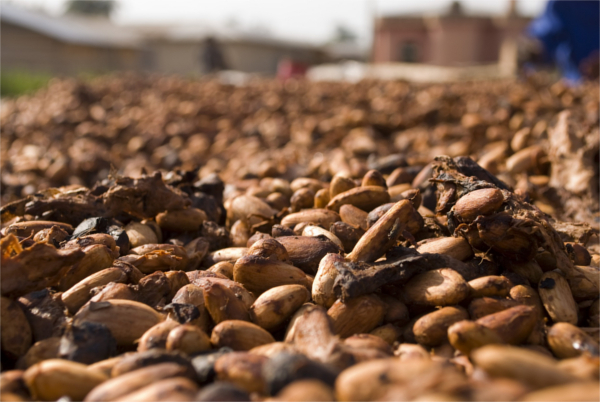 When cacao milling or size reduction is required, the use of air classifier mills ensure cacao cakes and mass can be ground without creating excess fines and deliver accurate particle size reduction to suit subsequent handling operations. Direct or indirect cooling of the grinding chamber or processing air is necessary to reduce the risk of product degradation permitting higher fat content cacao to be handled. Low maintenance and reduced cleaning intervals reduce the risk of microbial contamination, thus enhancing the potential for size reduction of sticky or difficult-to-handle food ingredients. Getting the most from raw materials in terms of nutritional value is vital in food processing; not only does it reduce waste but it also optimises scarce and costly ingredients to produce the best quality food. The complexity and challenges of today’s ingredients and processes by food processors and manufacturers need to reflect the demands of the dietary habits and requirements of a growing population, and reviewing preservation options is also part of the bigger picture in feeding the world. Here we look at okara, a soy bean pulp that occurs as a by-product during the production of soy milk and tofu. Most okara worldwide is used as animal feed and the rest mainly as a natural fertiliser or compost. However it also has potential for human consumption, in that it adds texture to baked goods and is a nutritional protein enhancer. This is increasingly seen as a valued opportunity for food manufacturers to make valuable use of a waste by-product, but only if the processing challenges of producing low-moisture, fine particle sized, protein preserved powders can be addressed. These challenges include the ability to produce a low moisture product that will be subject to less risk from deterioration yet remain unaltered in colour, taste or mouthfeel by any drying or grinding processes. On the market today are machines capable of meeting these challenges. 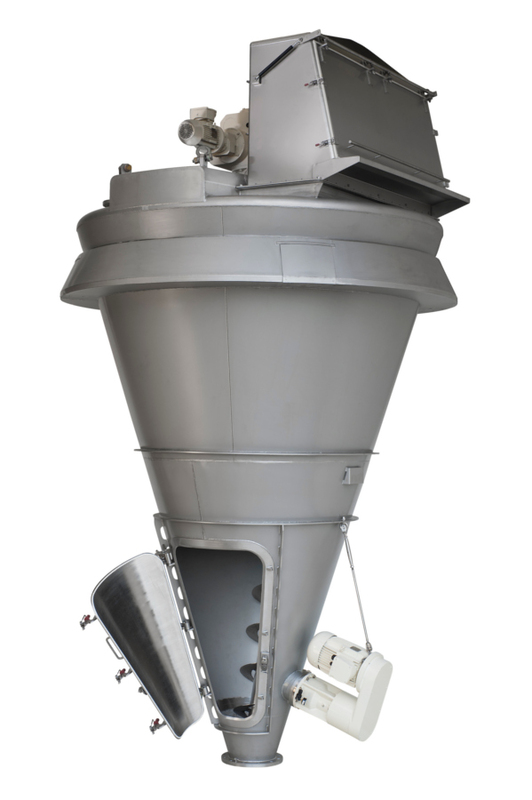 These can grind, classify and dry to produce a stable product, eliminating several stages of powder handling typical in more traditional processing systems. Hosokawa Micron’s Drymeister for example, uses flash drying technology for thermal damage prevention and nutrient preservation resulting in a low moisture product being less prone to deterioration and degradation. Powerful grinding and classifying in the same machine offers a short process time and delivers fine particles that are smooth to the tongue. The unit’s easy clean process reduces adhesion in the machine for better throughput. Energy efficient and system-compact, the machine combines drying, de-agglomeration/milling and classifying in one piece of equipment, drying temperature-sensitive products safely and economically within a matter of seconds, thus helping to meet the demands and challenges of producing food as cheaply as possible. It delivers a lump-free, defined and homogenised particle size final product output. With the capability to handle moisture content fluctuations from a few percent up to more than 80 percent in suspensions, slurries and pastes, it uses about 30-40 percent less energy per kilogram of evaporated water than conventional dryers. As many companies globally now are challenged with day-to-day energy reduction, emissions and pollution reduction, such a reduction in energy consumption presents a significant step forward. Adding value to one of the world’s most important crops—rice—is high on the wish list for rice processors who appreciate the benefits of adding value to a high volume commodity product. With new product development channels driving food ingredient innovation, rice processors are reviewing the potential for rice flour as an alternative to wheat flour, giving them an opportunity to add value to the staple crop by adding real innovation potential. 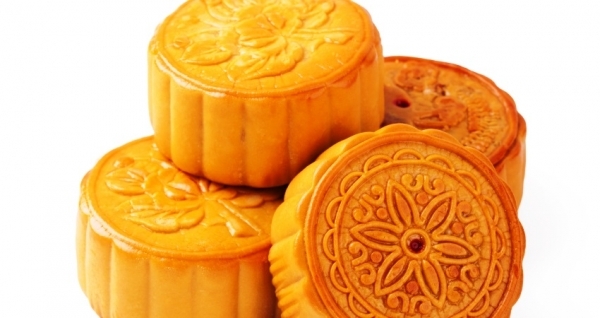 Rice flour is a ready substitute for non-allergenic (gluten free) products, but its ability to change the texture when used in existing products and to create new food products when utilised as a fine flour can now be increasingly exploited through the development of appropriate, accurate, fine milling and drying systems. In the past, rice grinding has had a detrimental effect on the starch, but new processes such as this lead the way in value added processing. The system utilises a heated air classifier mill to create a dry, finely ground end product with a particle size of d50 40µm which displays a high level of starch—thereby supplying a high quality product ideal for the development of a range of baked goods, such as bread and cakes. Protein shifting is the act of mechanically separating as many protein particles as possible from the starch particles they are attached to. 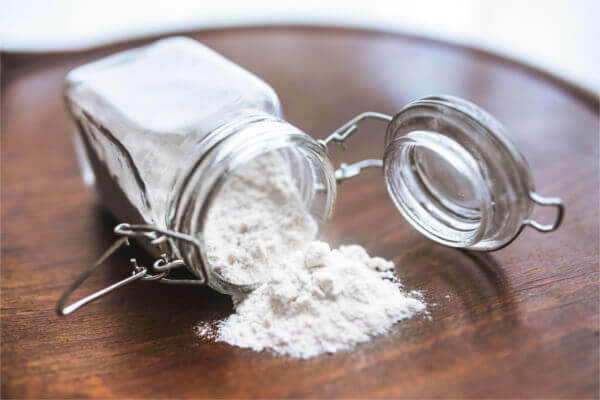 By controlling the protein content of wheat flour through protein shifting and blending, it is possible to provide the most suitable protein-loaded wheat flour for particular applications. 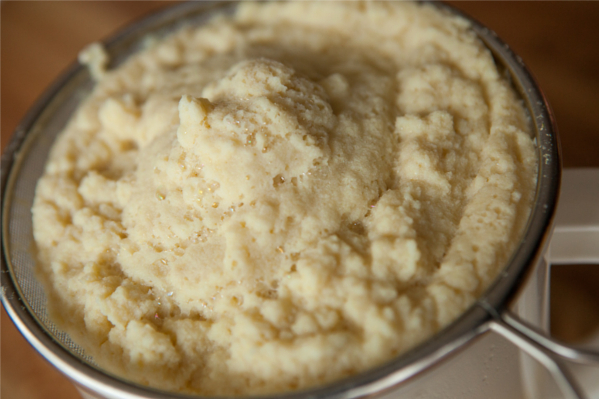 A two-part processing system typically includes grinding to liberate the protein and starch, and classifies coarse (low protein) and fine (high protein) particles. Excellent success rates are evidenced using an air classifier mill to produce particle sizes ideal for separation. The ground materials are pneumatically conveyed to an air classifier which separates the coarse, low protein material from the fine, protein-rich material. The two material fractions are both collected and have multiple uses. Coarse, low protein/ high starch material can be used as a confectionery ingredient, starch for pasta or as a thickening agent. 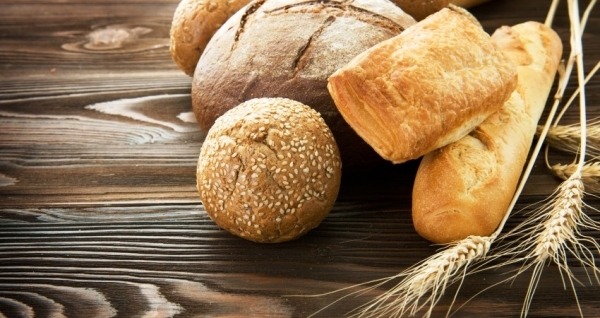 High protein flours are utilised as bread improvers particularly such as for retarded doughs and frozen doughs, as they add volume and improve bread crumb to the end product. This high performance system delivers 22 percent protein (compared to 11 percent in the raw grain) and 25 percent yield—a significant increase from lower performing systems which deliver lower than 20 percent yield. Growing demands for increased product integrity and the need to safeguard and protect manufacturing operators in the food processing industry has led to the development a range of downflow booths to meet industry specific demands. 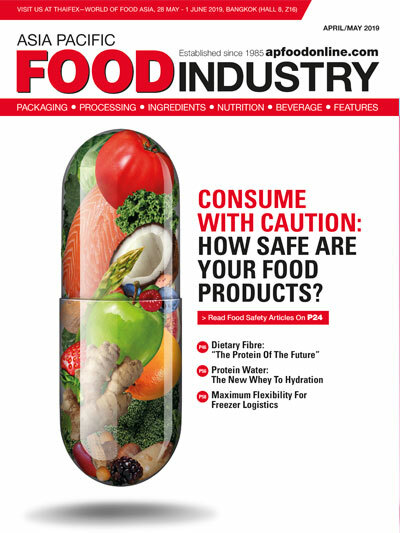 With a high incidence of workplace risk from respiratory sensitising dusts from grains, flour, egg protein, fish protein and ingredient additives, the use of containment technology in the food sector is increasingly widespread. 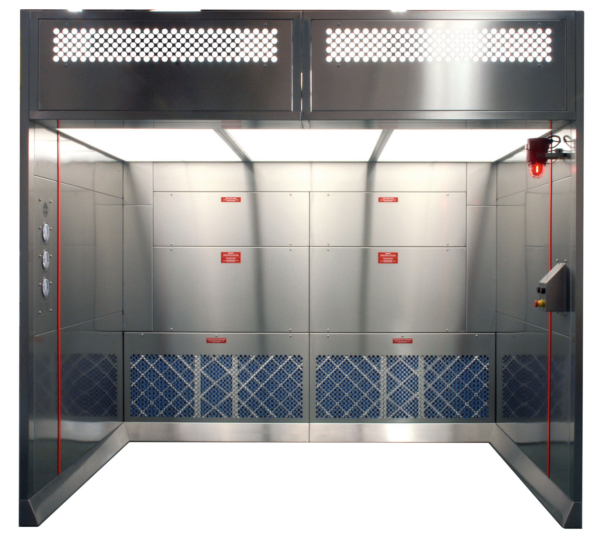 Modular downflow booths provide both product and personnel protection, and where necessary, enable one to take processing steps outside of a closed food processing machine. This could be for sampling, filling or packing operations. In such a machine, a uni-directional flow of air is forced downward through ceiling mounted distribution screens in a vertical, laminar flow. This suppresses the elevation of dust, taking the dust away from the operator’s breathing zone and into the booth’s low level perforated extraction grilles. Capable of delivering operator exposure levels of less than 1µg/m3, the booths can also provide product protection from surrounding area contamination by creating a ‘clean processing zone’ minimising cross contamination risk from other products or processes. Innovation is key to conquering today's consumer market and with this comes the need to overcome challenges with processing new or difficult-to-handle products like cacao, okara or rice flour as earlier mentioned. 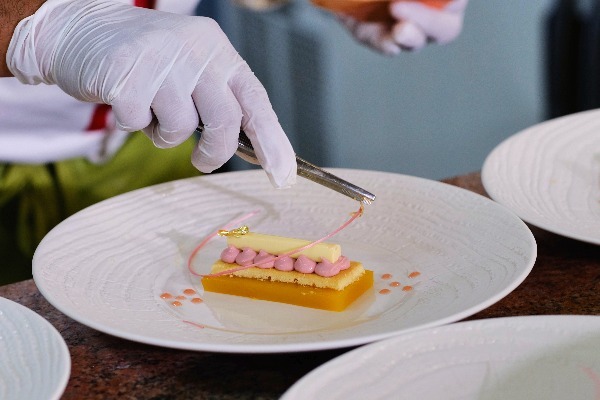 With advancing technology, food processors can stay ahead of their competitors and continue with innovating with ingredients, allowing them to carve out and secure a portion of the market in time to come.